If you are in Korea; there are several excellent things which can be a great addition to your travel diary. 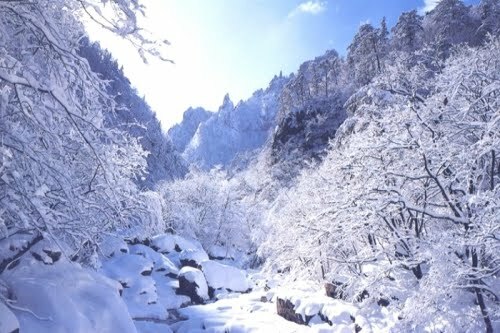 If you are someone with a poetic heart and a nature-loving soul; then there’ll be only one great window across the entire year to experience the daintiness and the magical look of Korea – Spring! The feeling of being florally blanketed with the stunning pastel pink blossoms, Korea look amazingly breathtaking during spring and witnessing Cherry Blossom in South Korea will genuinely make your journey praiseworthy and satisfactory. Spring is the ultimate cherry blossom season of Korea and if you want to enjoy every glimpse of this season; then it's best for you to start planning your Korea trip from now! South Korea’s cherry blossom season is a magical and splendid time as the country pooh-poohs the chilliness of winter and re-emerges with the dynamic colours, flowery attires - bearing the lovely scents. 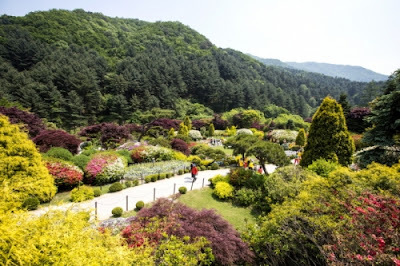 In order to make your Korean trip more enjoyable and contended; you also can plan a Garden Of Morning Calm Tour! For those who love flowers, nature, botanical gardens, and natural world must head for a Garden of Morning Calm Tour! Garden of Morning Calm is one of the most beautiful and famous precincts in South Korea; delicately nestled in Gapyeong, Gyeonggi Province. Offering a picturesque setting, the garden has been a popular destination for travellers. Here, you can enjoy the seasonal displays of flowers, blooms, and festivals in multiple times of a year!